Have you wondered why you pay a certain amount for auto insurance while your neighbor or spouse pays a different amount, yet you all have the same vehicle model? The variation in cost depends on how insurers calculate insurance premiums. If you recently requested an auto insurance quote, chances are that insurance provider requested personal information,information concerning your lifestyle, driving history, etc. Actually, these things play a critical role in determining your insurance costs. Unfortunately, only a few drivers take time to shop for new auto insurance policies and only a third of the population changes insurers. The implication is that many people are paying higher premiums for benefits they could get at a cheaper cost. it is important to know the key factors that affect your vehicle insurance premiums. Nearly all insurance companies use similar variables when determining prices of auto policies, but each insurance firm has its customized underwriting guideline and unique formula for setting auto insurance rates. For this reason, you may find different prices for the same auto policies. Read further to understand the main factors that insurance companies take into consideration when calculating their auto insurance rates. When costing for your auto insurance, most insurance companies place significant weight on where you live. These companies have a full risk profile of your address. They often study things such as your neighborhood’s density, weather patterns, crime rates, and the number and frequency of claims filed from your location. It is unsurprising to find noticeable variation in insurance rates between different neighborhoods in the same city. Areas with higher cases of theft usually attract higher premiums. Typically, people living in urban areas pay a higher premium for their vehicles than those who live in the countryside due to higher rates of crashes and vandalism witnessed in the urban areas. Your age, marital status, and even gender will impact on the cost of auto insurance. Young drivers tend to drive more carelessly, so they are more likely to cause accidents than older drivers. Most young drivers are also less experienced. Insurance companies, therefore, see young drivers as an expensive category of customers. Consequently, they pay higher premiums. Besides age, your marital status contributes to your cost of insurance. Married people are likely to cause fewer accidents than the people who are unmarried. Insurers will, therefore, charge you a slightly lower rate if you are married. Some companies may consider dropping the rate for married couples even if they are less than 25 years old (young drivers). Besides this, studies have shown that female drivers are less likely to cause automobile accidents than male drivers. As you approach your twilight years, your propensity to cause accidents increases, so you may pay higher premiums. Fatal crash rates are higher at 75 – 80 years. Some insurance companies may find the relationship between different occupations and the likelihood of causing accidents to help them to determine auto insurance costs. Professionals such as journalist and delivery drivers, who usually have work profiles that require more traveling, are more likely to be on the road are more exposed to risk. On the other hand, professionals such as airline pilots may spend less time on the road. Similarly, paramedics, insurance underwriters, and police officers are considered more careful drivers. These professionals often receive a discounted rate. Most insurance companies use credit score as a costing factor. While there is no clear point at which credit rating starts to take effect, a lower credit rating usually inflates your insurance costs. Insurance companies use credit rating to calculate the possibility of a claim. Research has shown that people with low credit ratings are prone to filing higher claims. This is a more straightforward rating factor. From your past driving record, insurance companies can predict your future performance. A history of crash-free driving record will attract discounts while a history of violation, will see you paying higher rates. Tickets and traffic offenses are not the only things that can inflate your insurance premium. Insurers also check on the number of claims you have filed in past years. If you were at fault in most of the claims, the company will hike your insurance cost. While you may have a clean record, don’t get complacent to ensure that you get even better rates in the future. And, if you have a crash in your driving record, let it be a reminder to remain vigilant. While you cannot erase your past reckless driving, you can reduce its impact; over time, the impact of your past crash history on insurance cost will reduce. In most cases, violations may cause an increase in your premium for at most five years. Some insurance providers can adjust your premium based on the mileage you cover and where you drive. Business commuters, for instance, usually drive for longer distances on high trafficked roads throughout the year. This makes them more accident-prone. Borrowing from this analogy, some insurance companies may increase premiums if you have a higher annual mileage. Your provider may give you a discount if you rarely use your car to commute to work. The make and model of the vehicle you have plays a huge role in the calculation of premiums. Sports automobile and other premium brands usually attract higher premiums. Pricier cars are usually costly to repair because their parts are expensive. They also are more likely to attract prying eyes. However, you can lower the premium by fitting safety features such as an alarm. Besides the high-end models, old and poorly serviced cars are also expensive to insure because insurance companies usually consider them as hazardous to other drivers. These vehicles are more likely to be totaled in case of an accident; this translates to higher insurance costs. Classic vehicles usually attract a good rate because their owners have a history of high-quality maintenance. If you have a car with a low safety rating, you are likely to pay a higher premium and vice versa. Lower safety rating means a higher risk of injuring your passengers, which can lead to high medical bills. The safety rating covers several elements such as the likelihood of passengers getting injured in case of an accident and the likelihood of the vehicle causing an accident. To determine the safety rating, insurance companies usually consider safety features such as traction control, automatic seat belts, and airbags, and then adjust the premium accordingly. The amount of limits you set for your auto insurance has a bearing on the cost. You may need to adjust the limits on some coverages to suit your needs, but you should be aware that the more coverage you need for your car, the more you will pay in premiums. The reasoning for this is simple. When you have more coverage, your insurance provider carries more risk since it must gather for the higher coverage limit. In most cases, states have their basic auto insurance coverage. The most common ones are collision coverage, uninsured motorist coverage, and comprehensive coverage. Deductibles also can reduce or increase the premium you pay. Setting a lower deductible means you will pay higher premiums. Whether or not you qualify for an auto insurance discount is largely dependent on the insurance company and the different rating factors. If you have a clean driving record, purchase your auto insurance as a bundle with other covers, or pay your premiums in one instalment, your insurer may extend a discount, which lowers the final auto insurance cost. 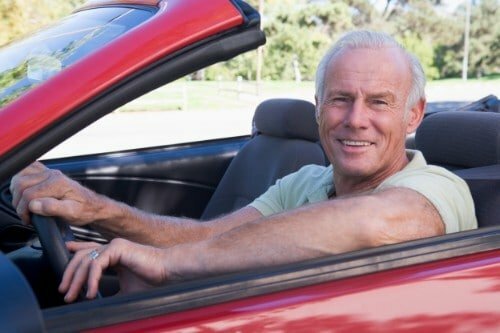 Apart from age, gender, and marital status, you have more control over many other factors that affect the cost of auto insurance. By optimizing on these factors, you will increase your chance of minimizing the cost of your insurance. Even if common rating factors seem not to favor you at the moment, it is not the end of the road. Remember that insurers vary significantly in the way they weigh different factors. It is, therefore, important to look for an insurance company that provides the best pricing for your combination of strong factors. Again, your agent can help you identify the limits, coverages, and deductible level that suit your car. Moreover, most insurers give additional discounts if you buy auto insurance as part of a package.